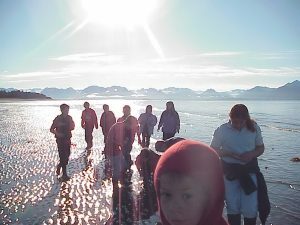 This site provides information on K-12 science and cultural education in the Kachemak Bay area. Use this website as a planning and reservation tool for your environmental or coastal science field trip to the Kachemak Bay area. The Kachemak Bay Environmental Education Alliance looks forward to hosting you and your students in our coastal communities. LOOKING FOR A WINTER ACTIVITY TO DO OUTDOORS WITH YOUR STUDENTS? Contact any of the EE program coordinators for opportunities and ideas. You can find the organizations and coordinators offering EE programming in the Homer area on this website at http://homerfieldtrips.org/programs/organizations.html.